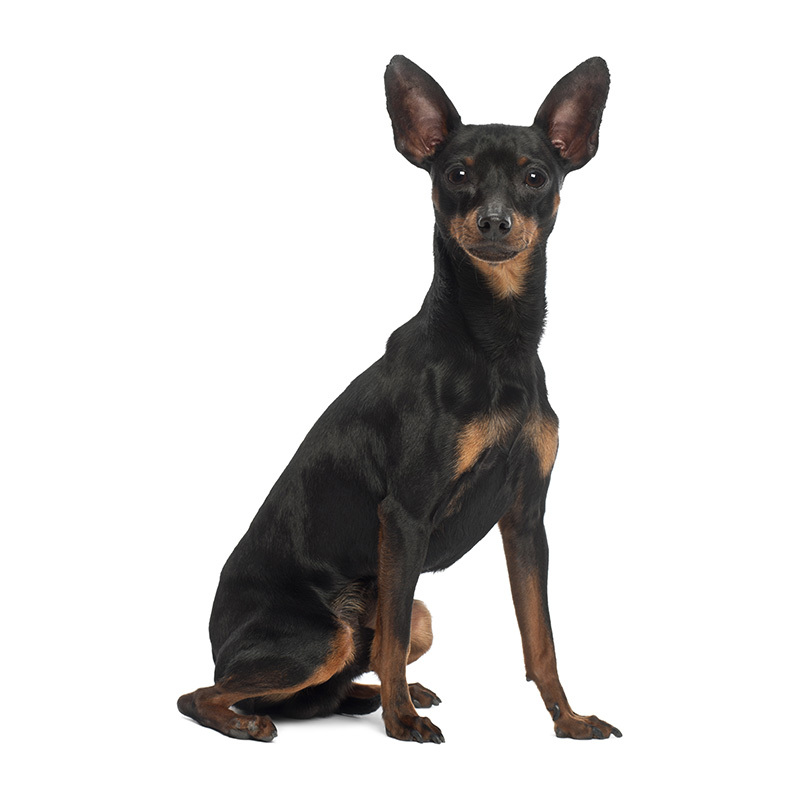 The Miniature Pinscher, in spite of its looks, is not a miniature version of the Doberman Pinscher; however, it is believed that both breeds originated from the German Standard Pinscher in Germany. “Min Pins,” as they are affectionately called, probably derived more from the Italian Greyhound and the Dachshund breeds. They are thought to be an old breed and used primarily as a very efficient home and barn ratter. The Min Pin is a spirited, fearless, and curious little dog. Their antics range from laughable to amazing. Min Pins are brave and fearless and make great escape artists as they can dig under or climb over fences. They are fun-loving, entertaining, and always full of energy. They can be affectionate, loyal and loving. Min Pins make a great little watchdog, as they will bark and alert you should anyone come to your door. They do well with respectful children, but you must train both of them how to properly play with each other to avoid any unintentional injuries. If unduly spoiled, the Min Pin can become headstrong. The Miniature Pinscher usually weighs between 8 to 10 pounds and stands approximately 10 to 12 inches tall. They have a compact, well proportioned body and are small and dainty in build. Its coat is short, straight, smooth and glossy. Colors can range from red, black & rust, to chocolate and tan.